At the recent 19th Party Congress in Beijing, Chinese President Xi Jinping reiterated that he had no intention of letting China’s economic emergence stall now. While quantitative growth targets were downplayed compared with the past, Xi’s ‘New Era’ sees China smashing through the ‘middle income trap’. There is now an obsessive focus on innovation and industrial upgrading in domestic economic policy. China’s economic diplomacy has also ramped up, as demonstrated by the establishment of the Asian Infrastructure Investment Bank in 2015, and potentially far more significantly, the unfolding Belt and Road Initiative. At the same time, China’s economic success is not guaranteed. There is the threat posed by high debt levels. Under President Xi China also appears to have re-emphasised the role of the state and many economists wonder whether this is consistent with the ongoing improvements in productivity that will be needed if living standards are to continue to rise. Across the Pacific, the United States looks set to take a harder line on China’s economic policies, such as its relative lack of openness to foreign investment and the fairness of the playing field on which its firms compete. And while the Belt and Road might generally be welcomed overseas as a concept, there are challenges in delivering projects that bring real development benefits for participating countries. This context provides a rich list of issues to be discussed and debated at the 30th CESA Annual Conference, hosted by the Australia-China Relations Institute (ACRI) at the University of Technology Sydney, with support from the ANU China Update. The Conference is proudly sponsored by Bank of China. CESA invites both members and non-members to submit papers and/or to propose organized sessions at the 2018 CESA Conference. While most papers will have an economics focus, interdisciplinary contributions that relate to the conference theme are also welcomed. The abstract submission deadline is March 15 2018. Persons interested in presenting a paper at the conference need to submit an abstract of no more than 400 words with title, author name(s), JEL code(s) and keywords. Those submitting an abstract will be notified via e-mail by 1 April 2018 as to whether abstract is accepted for presentation. If you would like to organize one or more sessions on a specific topic and have speakers/presenters lined up, please submit your proposal to Dr Roc Xunpeng Shi, CESA President, for approval at xunpeng.shi@uts.edu.au by March 15 2018. Each organized session should consist of four individual papers. The proposal should contain a tentative name of the session, titles of papers along with their abstracts, as well as names of session presenters and discussants with their e-mails. Please note that papers included in a session must still go through the regular paper submission process to be included into the program. 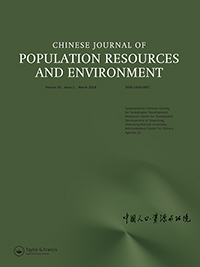 CESA has already secured special issues from two journals, China & World Economy and Journal of Environment Management (both will be edited by Prof Zhongxiang ZHANG, Tianjin University) and Chinese Journal of Populaiton, Resources and Environment to publish high quality papers presented at the conference. Papers submitted for consideration in special issues will still need to go through the regular review process of the journal. At least one outstanding paper presented at the 2018 CESA conference will be selected for the Best Student Paper Award. To be eligible for consideration for this prestigious award, the primary author of the paper must be a graduate student. All short listed candidates will be granted complimentary registration. Participants interested in being considered for the Award must submit a full paper together with a letter on official university stationery from a professor certifying that the submitter is a graduate student in good standing. An electronic version of this letter together with the full paper should be sent to Associate Professor Sizhong Sun (Chair of the Selection Committee) at sizhong.sun@jcu.edu.au by March 15 2018. All presenters and conference attendees must register for the Conference. Registration information will be provided shortly. Please note that registration fees are non-refundable. All participants must register by June 1 2018 to be included in the final program. Sydney is Australia’s largest city and its commercial capital. It is perhaps best known for its stunning landmarks, such as the Sydney Opera House with its distinctive sail-like design, the arched Harbour Bridge and beautiful beaches. The climate is sunny and mild and there is always plenty to do from world-class dining and entertainment to magnificent sightseeing. The University has accommodation partnerships at a number of hotels near Campus for CESA 2018 attendees, all within a 10 minute walk to the conference venue. Please mention the “CESA 2018 Conference” to get special conference rates. Confirmation will be subject to availability at the time of booking. These rates are for standard rooms. Breakfast is not included. Details of partner hotels, rates and contact details to book are listed below. This list is only suggested list of local Hotels. Delegates are free to book elsewhere. Note: all within walking distance of conference venue.